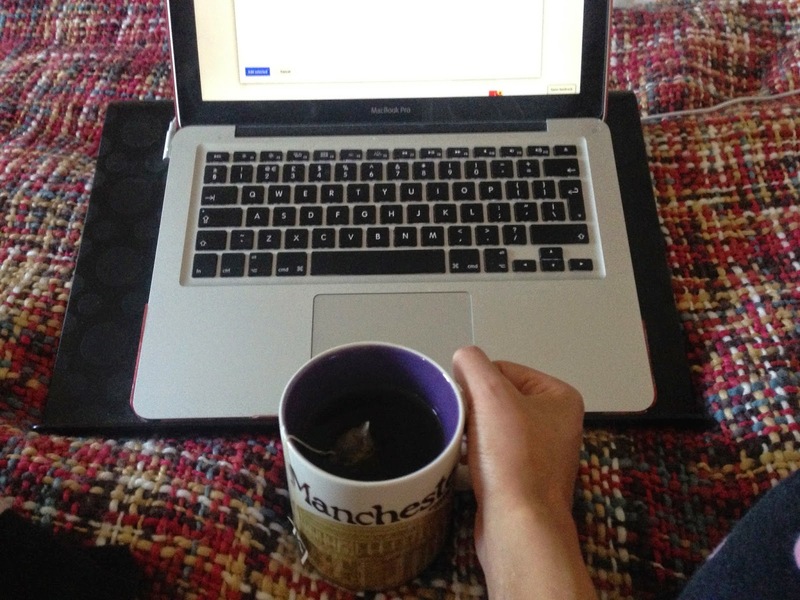 It's time again for a little round-up of all the stuff I've been loving recently. 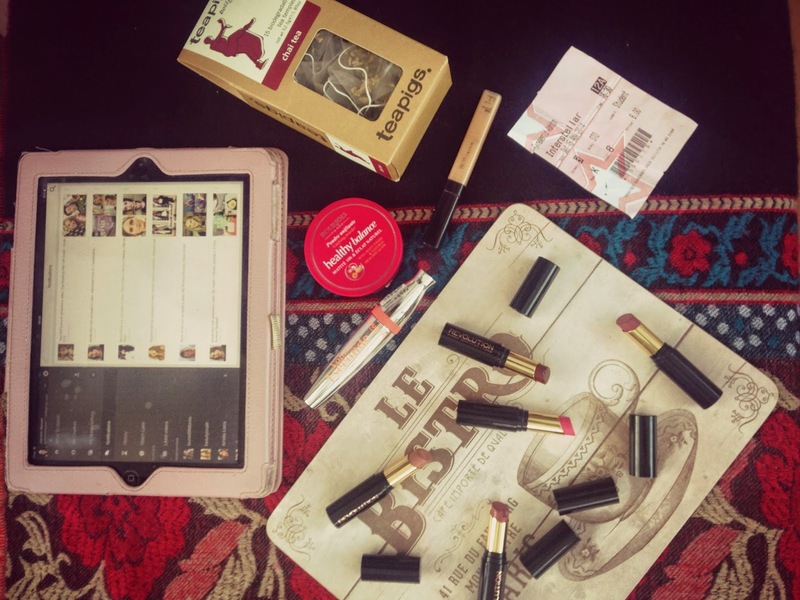 These posts are more lifestyle-focused than my product-based monthly favourites (which will be along next week) and this time I have everything from my favourite YouTubers to Superdrug bargains to a mini-review of Interstellar. I hope you enjoy! I have to start off by raving about the Body Shop Christmas Collection (haul here)! It's perfect if you want to buy some gifts or just treat yourself. Glazed Apple is sweet like something that belongs in a pick n mix, Vanilla Brûlée is creamy and indulgent and Frosted Cranberry is sweet but not sickly. I've actually bothered subscribing to some Youtubers recently. I've always been a big fan of Lisa Eldridge - I can see how her videos may seem a little dry compared to the 'kids TV presenter' style that seems to be popular at the moment but she's a true pro with extensive knowledge and experience. 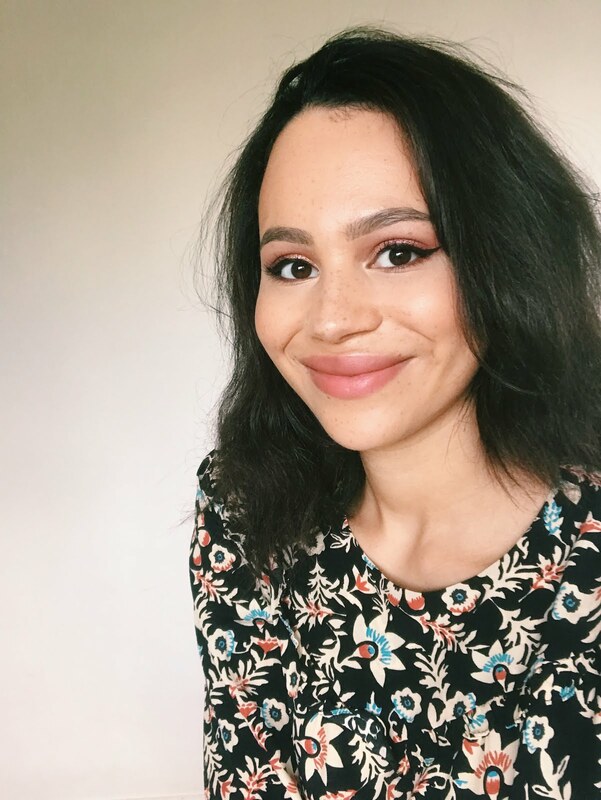 I'm also a fan of Sammi from Beautycrush; it's so hard to find bloggers with a similar skin tone to me, especially in the UK (so I can actually buy featured products). I think her personality is really cute and I like how she mixes high-end with affordable. A newer guru I'm liking is Niomi Smart - I can see how she wouldn't appear that relatable and how her videos aren't trying hard to be fun but I just find something really likeable about her. I do realise her rise to Youtube fame is quite calculated but I think she could potentially fill that gap in the market for Youtubers aimed at 20-somethings. I also make sure to keep up with Essiebutton - I think we have similar taste and I just appreciate her sense of humour! Finally I have to mention Becca Rose. Don't crucify me but to be honest I'm not really into reading/watching teen beauty gurus. I think your teen years are spent finding out what works for you so it doesn't really make sense for older people to take their advice. However even in her earlier videos she's young and fun without being juvenile. I think she's someone I'd get on with in real life. I've also rediscovered my hair, as weird as it sounds! With summer a distant memory it's far less greasy and it's grown a bit so I've been wearing it wavy a lot. 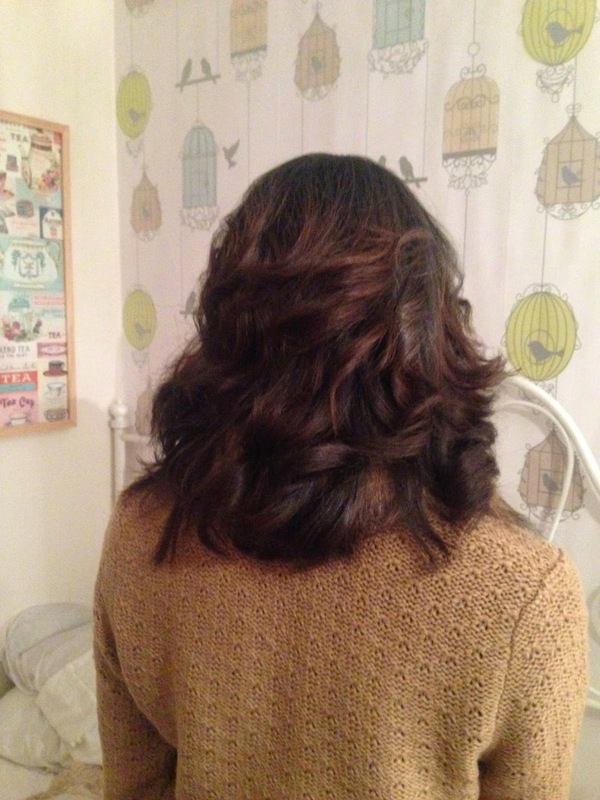 I had my hair done at an event at Ed's Hair and Beauty (a Manchester salon you should check out if you're ever near Salford). I love how they did it and it definitely inspired me to try a bit harder! 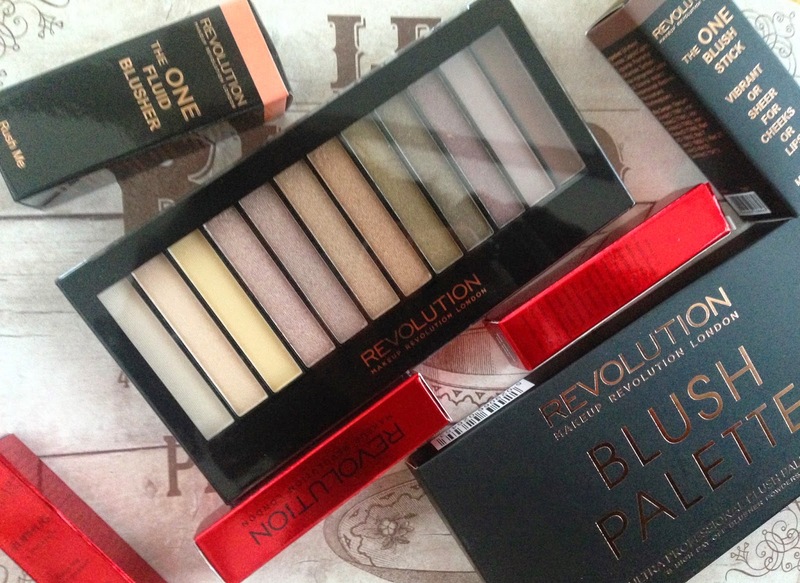 Although some of this may or may not be on my monthly favourites...I have to mention the new releases from Makeup Revolution (haul here). Their £2.50 Lip Hug sheer, lustre lip colours have hardly left my handbag and I've actually ordered even more so when they arrive I'll swatch the lot for you. 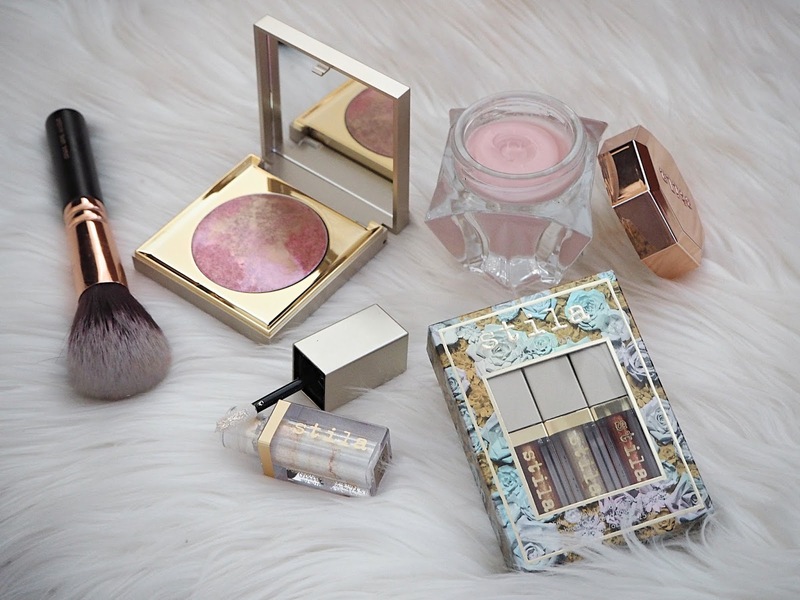 You can read my review of those here and my review of the Golden Sugar Blush Palette here. 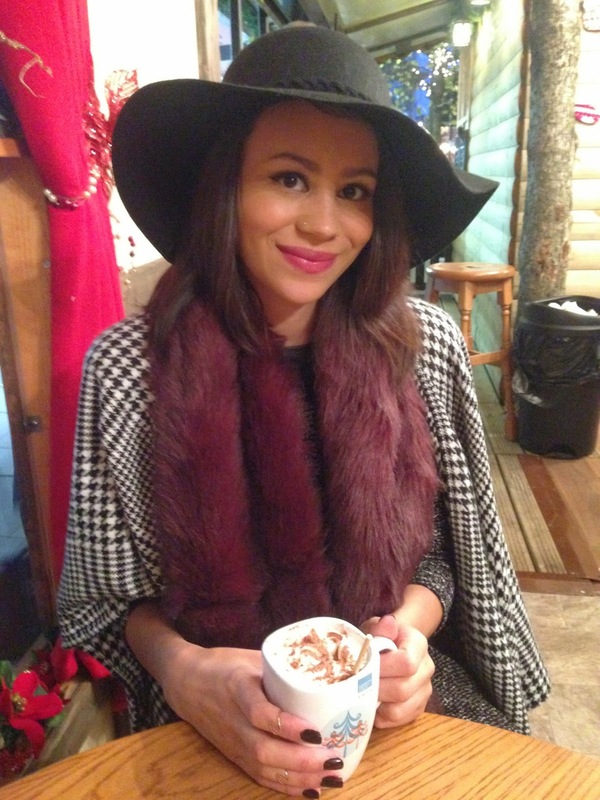 I really love Autumn/Winter fashion! There's nothing nicer than wrapping up in fur, scarves and hats. Keep an eye out for a huuuuge new season fashion haul and in the meantime check out my personal style posts. Speaking of food and drink, my Chai Tea obsession has moved to Teapigs! I really want to try some more of their stuff - is it weird if I buy myself a gift set? Something else I've been indulging in is the Superdrug 3 for 2 offer across all cosmetics (plus triple points!) I'll show you all my recent beauty purchases in a big haul post, but these are 3 that I chose in the offer. My top tip is to pick items that are of similar value, as you get the cheapest free. You wouldn't be making the most of the offer if you paid for a £10 foundation, £8 mascara and then got a £3 nail polish as your free item - so go crazy! A TV show I'd really recommend catching on 4od if you can is Grayson Perry's Who Are You? It sees the artist visit diverse people who are parts of various cultures and subcultures to get an understanding of their identities. He then produces a piece of thought-provoking art based on each of them. It's really interesting stuff. Last but certainly not least; I went to see Interstellar. It's one of those films where you leave the cinema and wonder what an earth you just watched but I've always been fascinated by space, what it means philosophically for humans and how science fiction takes the theoretical and imagines things we can barely comprehend. Yes, I'm a little nerdy like that! I can see why people were disappointed with the third act however I was fine with the 'big reveal', I just thought the actual ending (from that point on) was a bit silly. However that doesn't detract from the fact it was a really good film, in many ways reminiscent of 2001: A Space Odyssey. It has a great soundtrack and my boyfriend bought The Science of Interstellar, which I'm looking forward to reading. What do you think of the things I've chosen? Did you enjoy any of them as much as I did? This post is lovely! Can I just say: you are soooo pretty! I love your hat outfit and everything! Oh and the glazed apple scent from TBS is just... Ahhh! So good!!! I agree with your youtuber choices - Estée being one of my favs! Although interstellars' reviews are amazing - the idea a three hour movie about space makes me a bit reluctant to go and see it! Haha! Aw thank you that's such a sweet thing to say! Great post! I love the Body Shop products at holiday time. I always seem to give and receive them! 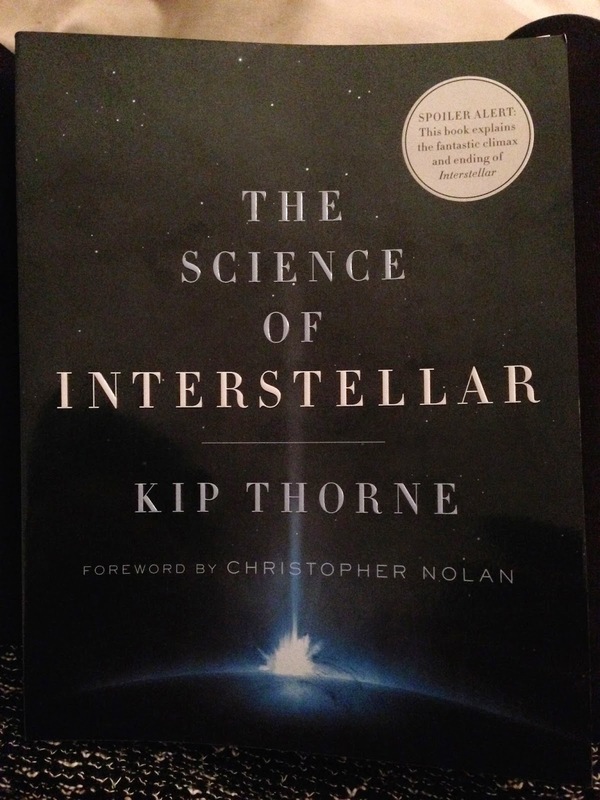 Would love to read The Science of Interstellar book, loved the movie! Great blog!